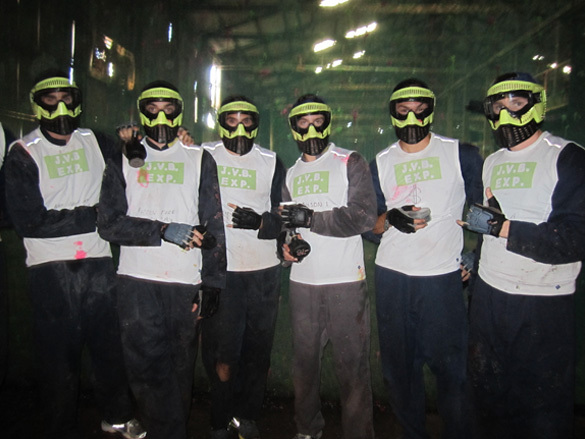 Indoor Paintball is a fast moving, action-packed battle game. 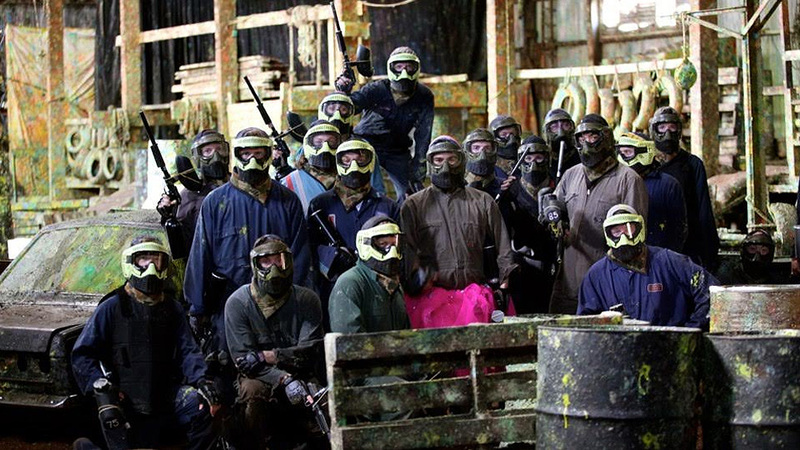 Paintball warriors are called to duty and divided into two combat teams. Each combat team warrior must work together to form a strategy of how to attack and capture the opposing unit’s base flag while leaving some warriors behind to protect their team’s base from invasion. Once the piercing start siren goes off, the battle zone comes alive with pulsating helicopter noise, furious firing sounds of enemy markers, and paintballs are whizzing by exploding on drums and warriors. The combat warriors must quickly make courageous moves to get protection behind barricades before being splattered and temporarily out. To be successful, most sports and businesses require a co-operative team effort, good communication, tactics, strategy, leadership, and the ability to adapt quickly to a changing battlefield. Paintball is a competitive, action-packed game that develops team spirit and can assist people to get out of their comfort zone. We have team planning throughout the session to discuss tactics and to develop lateral thinking, and you can observe who are the true leaders of your group. 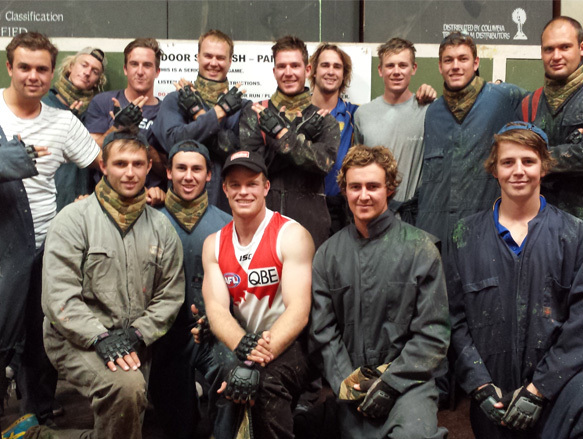 Indoor Paintball Skirmish Sports is the most popular birthday party venue in Adelaide, suitable for ages from 10 and up. For kids 10 to 12 years, we have a lower velocity on our markers giving a lot less impact for a safer, fun game. 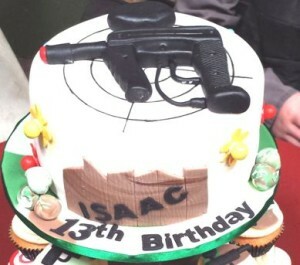 Celebrate your 13th 16th, 18th, 21st, 25th, 30th surprise 40th, even your 50th birthday at Indoor Paintball Skirmish Sports. Be game – it is the most wicked, awesome adrenaline-pumping action that you could possibly imagine. 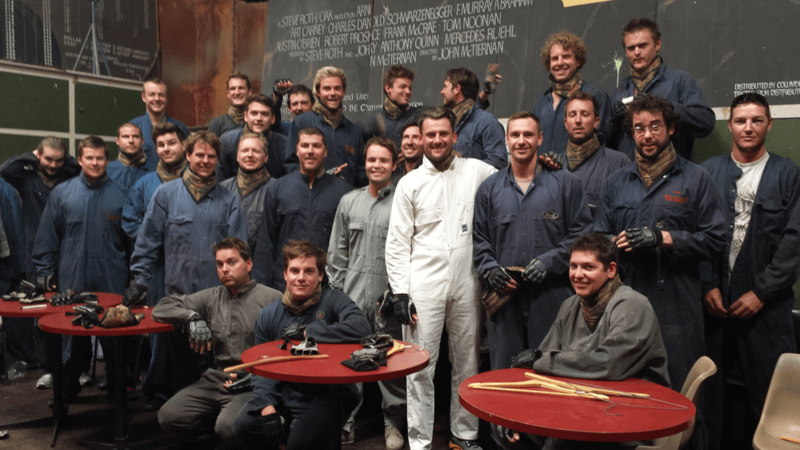 No other group appreciates a thrilling paintball session quite like a sporting team. Already united through a love of exercise and a passion for chasing adrenaline, sporting groups will thrive in this fast paced but low pressure environment. Celebrate a victory, bond with new team members or make it an annual end of year tradition. 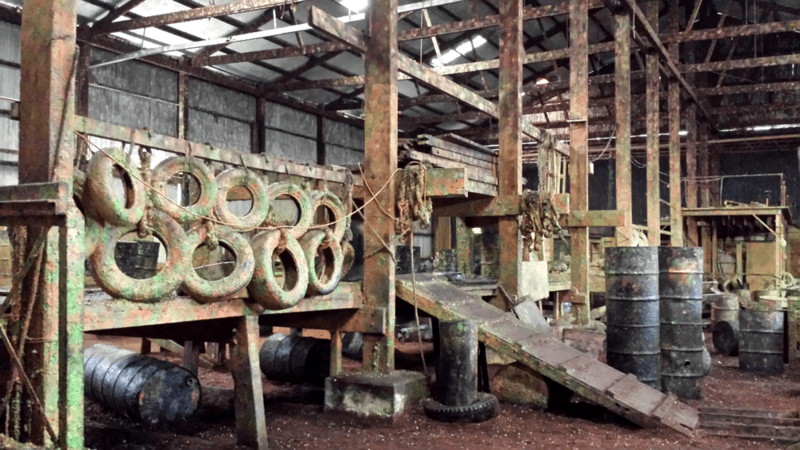 Looking for a great place to have a fun time doing paintball? This is the place to be people! With a great arena, helpful staff and reliable service, this place will never let you down! Zac, Patrick and William had a great time celebrating their joint birthday today with their friends and family. Thanks for an awesome day! Thank you so much Tyron, Ethan and I had so much fun. Glad I joined in. 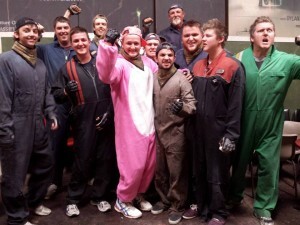 Love what you are doing over there at Indoor Paintball SA and we are great fans. Great to connect on Facebook with you. If you ever need anything in regards to your website, marketing or digital, we would love to work with you. We are happy to support you on here and look forward to talking with you soon. What a night. Thanks to the lovely lady. It was fun and amazing to do.